Socializing snafus, guest gaffes and other party don'ts. Selecting the wrong invitation style. The invite gives guests a first impression about your event. Jennifer Ricciardi, Director of the Lifestyle Finishing School in Virginia, advises caution with phone invites, which may be suitable for casual get-togethers, but can also seem like an afterthought. She believes classic paper invitations sent four to six weeks before an event to be the most personal and welcoming, and that online invitations should only be considered as a last resort or for impromptu gatherings. Michael Degano, Director of Operations for Kimpton Restaurants, believes virtual invites can be handy for “save the date” reminders, but also encourages following them up with a written note. Creating a random list of guests without similar interests. While the goal shouldn’t be cookie cutter sameness, strive for some type of common denominator. “Introduce people who you think will have similar interests, and are of the same socio economic background. They are more likely to maintain a conversation if they can find similarities,” Ricciardi suggests. You can also facilitate conversation by inviting a few guests who know everyone and are able to break the ice. Ignoring your guests. Not being there to greet guests at the door or to introduce them to one another sets a negative and unwelcoming tone. If food preparation is keeping you from mixing and mingling, hire professionals to assist in the kitchen and serve food and beverages. Or delegate to guests, who tend to congregate in the kitchen anyway and are often eager to help. Serve food that can be prepped ahead of time, and consider eschewing the full bar in favor of wine, beer and one signature cocktail. “Plan ahead, accept help and keep it simple,” Ricciardi simply states. Making solo guests feel like a third wheel. There is nothing more awkward than conspicuously hugging the wall at an event while everyone else is easily conversing and making new friends. Degano points out that it’s the host’s responsibility to know who is coming, invite other solo guests and help all of them strike a common bond and remain engaged throughout the evening. Ignoring dietary restrictions. For dinner parties, where food is the major focus of the event, ask guests ahead of time if there are any foods that they cannot eat due to allergies or religious beliefs. While you need not create the entire menu around them, providing several food choices is always considerate at any type of event. · Making the host track you down to see if you are coming. RSVP in a timely fashion. · Arriving too early or late for an event. Degano says fifteen minutes either way is fine—hosts should plan on being ready before the start time to accommodate early arrivals. Open house style events are typically more flexible with guest arrival times. · Insisting that the host serve something you brought. 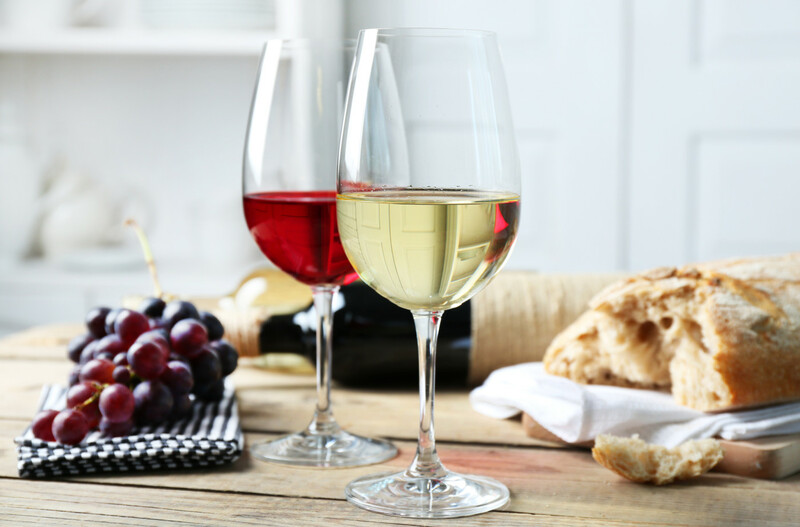 Requiring that the host pour your wine or serve your appetizer—which may not pair well with the existing menu—is impolite, unless the event is understood to be potluck. · Dressing inappropriately. If you are unsure what to wear, call the host. If it’s still unclear, it’s generally better to be slightly overdressed than underdressed. · Entering rooms with closed doors. Ask the host if you need the restroom or have another request. · Overindulging in food or drink. The former makes you look gluttonous, while the latter can be embarrassing, not to mention dangerous if you are driving. · Forgetting a little something for the host. For options beyond the typical bottle of wine, consider gourmet sauces or seasonings, high-quality chocolate or movie tickets. · Showing up with uninvited guests. This is especially inconsiderate for dinner parties, where it’s necessary to plan in advance place settings and food amounts. · Overstaying your welcome. If all other guests have gone home, and the host begins cleaning up, you have probably remained too long. Thank your host for a fabulous time, and head home. Kelly Magyarics is a wine and spirit writer, and wine educator, in the Washington, DC area. She can be reached through her website, www.trywine.net.